If you haven’t seen the documentary about the Fyre Festival on Netflix yet, I highly suggest you do that right now. This documentary discusses a luxury music festival on a private island, organized by entrepreneur Billy McFarland. The festival was supposed to take place during the last weekend of April and first weekend of May in 2017, but horrifically failed due to security, food, accommodations, medical services and artist relations issues. Attendees paid thousands of dollars to attend this festival, and instead of staying in luxury villas and eating gourmet meals, they received FEMA tents and prepackaged sandwiches. Before getting into the aftermath of this disastrous festival, I want to discuss their promo skills and how they convinced thousands of people to pay thousands of dollars for a ticket. Instagram has transformed into a platform where models, celebrities, and influencers can promote products or events in exchange for money. Typically, they will put #ad in their caption to let viewers know that their content is sponsored. In November of 2016, Alessandra Ambrosio, Bella Hadid, Hailey Baldwin, Emily Ratajkowski, Elsa Hosk, and Paulina Vega, aka some of the most well-known models, all flew to the Bahamas and posted pictures of their getaway, without explaining what Fyre Festival was or why they were there. A few weeks later, over 400 well known influencers and celebrities posted a picture of an orange tile, and captioned it with a link to buy tickets for the festival. Kendall Jenner was reportedly paid $250,000 to post the picture of the tile, demonstrating how much companies value the influence of a single person. A promotional video was also launched, showing a glamorous video of the models frolicking in the water and hanging out on a yacht. The narrative the marketing team created was that any normal person could live a luxurious life for a weekend and hangout with these normally unattainable women. This illusion illustrated on social media prompted people to take part in this once in a lifetime experience. Not a lot of information was given about the festival and because the infrastructure was being built while it was announced, people had no idea what their rooms were going to look like. However, thousands of people still went ahead and purchased their tickets after these high-profile influencers insisted it would be a great time with them. It’s kind of crazy to think that a single orange tile and video convinced thousands of people to spend so much money on an event that had never been done before, but celebrities constantly use their influence to push people to buy clothes, makeup, accessories, and even hair gummies that they “supposedly” use. People tried to debunk the festival before it even began, showing aerial views of the unfinished infrastructure of the festival on Twitter. However, the power of the Instagram posts surpassed the Twitter proof, and people stayed committed to attending the festival. As you can only imagine, the festival was a disaster. When attendees arrived, they waited hours to actually enter the festival grounds. Due to poor management during registration, people rushed to the tents and it essentially turned into a free for all. The festival was cancelled the following morning and many people were left stranded on the island due to issues with flights. There was inadequate food, water, medical personnel, and other essentials on the island. McFarland was sentenced to six years in prison and forfeited $26 million for wire fraud. Watching the documentary made me wonder how on earth anyone could fall into this trap, but then again I had hindsight, which we all know is 20/20. This festival appealed to so many millennials because it created the perfect Insta-worthy trip that would probably not be replicated any time soon. Seeing these models having the time of their lives on a remote island and using lines like “come join me” makes ordinary people think that for just one weekend, they can live their best lives and document it all with #FyreFestival attached to every picture and tweet. On top of that, only one of the models used the #ad during the orange tile campaign, making it seem like these models genuinely wanted to take part in the festival simply for the fun of it all. Social media can heighten feelings of FOMO or fear of missing out, pulling people further into a scam like this. Imagine how cool it would look to have some of the most famous models surrounding you on a private island? Well, I’m sure that’s what many consumers were thinking when they purchased their tickets, even with so many warning signs. With Instagram and Snapchat stories, we can document everything we are doing at all times, somewhat heightening the need to show off every interesting moment. While the festival itself miserably failed, the campaign was a huge success, largely in part because it captured people’s desires to live and document a life that seemed impossible. You made some great points in this posts. First, “this festival appealed to so many millennials because it created the perfect Insta-worthy trip that would probably not be replicated any time soon.” Millennial’s are so obsessed with this culture of receiving ‘likes’ that they would be willing to spend the thousands of dollars to attend an event that clearly had a risk of not happening a week prior…it’s the same milleanial’s willing to do dangerous and absurd challenges to one-up others and attain additional ‘likes’, insert #BirdBoxChallenge here. Second, “While the festival itself miserably failed, the campaign was a huge success.” The marketing strategy here was so impressive that celebrities wanted in on the festival. All they needed was some flashy videos and boom, people were automatically sold. Obviously the reality of the event is controversial, but I do blame the attendees for not doing their due diligence on some private island. This has been a particularly fascinating phenomenon, both in the event and its aftermath. I 100% have been guilty of leading a life of FOMO every now and then. I used to be way worse, especially in the sense of neurotically checking my social media hourly. I’ve since realized that you are definitely not living in the moment if you’re constantly checking what other people are doing and additionally, people only post what they want you to see. While those seem quite obvious, our generation was handed these social media tools and most of us took them to extremes. 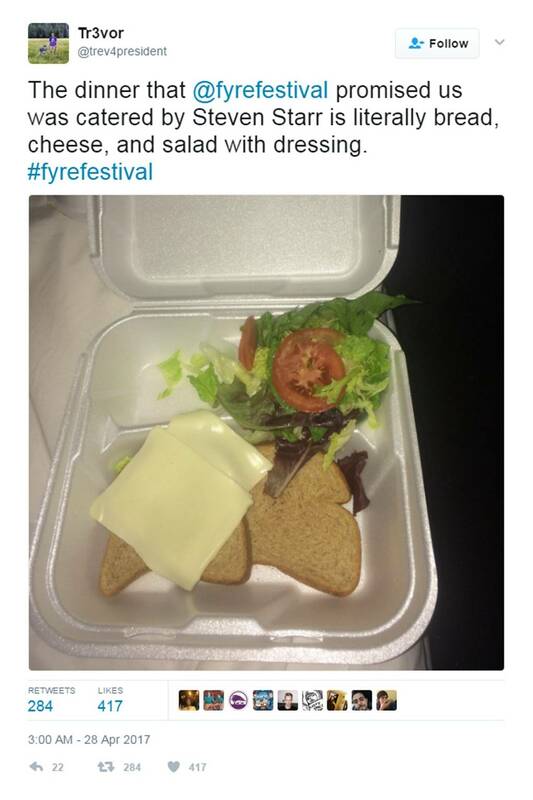 Fyre Festival is an example of an event that was too good to be true. Targeting our generation was a no brainer. They knew how to actually do some pretty good marketing and the reach was honestly very impressive. The amount of money the packages were listed at would have been my biggest deterrent, however, without that problem standing in my way, I would have wanted to book a ticket. I used to trust the endorsements of celebrities, but this has really given me another look at what can happen in the extreme sense. Every person is ultimately responsible for how they use social media and what they ‘buy’ into. By no means am I saying that people should have known not to buy tickets to Fyre Festival, but I would had to have been much surer of what was being promised before dishing out that kind of money. Great post Luiza, I’m glad someone touched on this in the blogs as it was a truly interesting social media phenomenon and opened a lot of peoples’ eyes to the power these platforms hold over us. On a similar vein, the FDA came out and said yesterday that the dietary supplement business that has started booming with the help of instagram influencers will now be more carefully regulated. Before now any company could claim the health improving properties of these supplements and the FDA could only get involved if it was proven to be “misleading.” Definitely check out that decision if you get a chance! The whole story behind Fyre is incredible. Interestingly enough, Billy McFarland went to my best friend’s high school in New Jersey, and her brother actually knew him. Says the guy was an absolute tool, but I digress. Anyways, it’s pretty crazy how much trust people were willing to put in the influencers that promoted #FyreFestival on Instagram with a literal orange square. 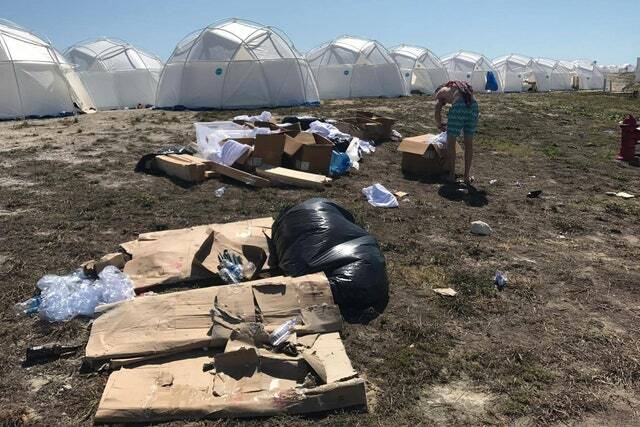 I’m glad some of the people who promoted Fyre Festival were apologetic, but most–if not all–weren’t sorry enough to return the money they “earned” from their posts to the people who truly earned it, needed it most, and weren’t compensated for their work. I mean, come on, people, have a backbone! Not a single person paid to promote with the orange tile was given less than $20,000. Not to mention, all the influencers were people who already had a good deal of social clout and income from their social profiles to begin with. It’s not like that $20,000+ was going towards their next meal. More likely, it was going towards their next Bugatti while hundreds of physical laborers went without pay. Pretty messed up. Thank goodness for everyone who donated to the owner of the restaurant (which almost went out of business had she not used her entire savings to keep it afloat). Watching the Fyre documentary was so eye opening not only for the power of influencers and media manipulation but also for how it highlighted the people on the periphery of the event who had their lives turned upside down. I think your analysis of “FOMO” being a reason for the festival’s initial hype was spot on. However, it’s so fascinating that efforts to debunk the hype fell so short. They had photographic proof and it still wasn’t enough to sway the public. With hindsight being 20/20, how would you have tried to expose the fraud?